Phoenix is Arizona's largest city and with a population of over a million people the population of bugs and weeds is even larger. 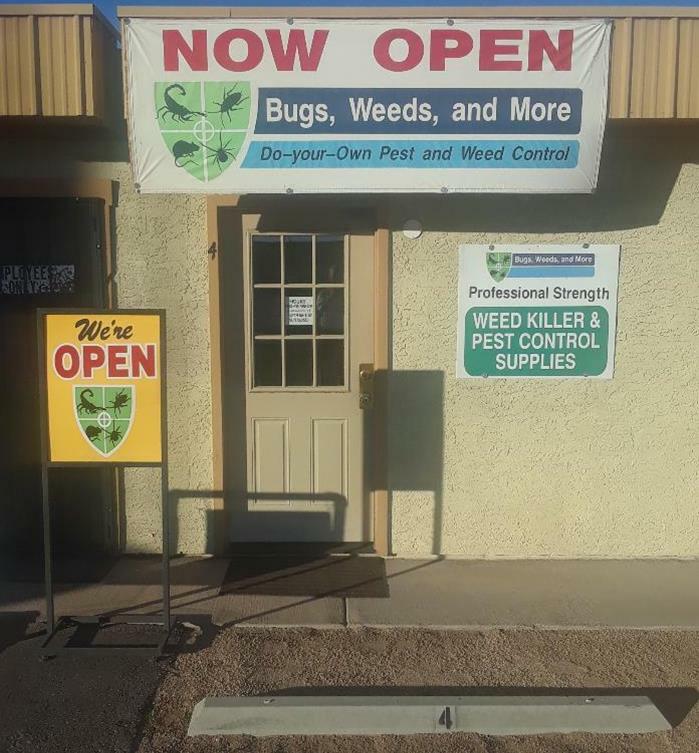 Our Phoenix Do-It-Yourself Pest and Weed Control Store is conveniently located off of the 101 freeway at Cave Creek Rd. and Beardsley in N. Phoenix, we're right across the street from Costco. Homes in this area of the Valley are known to experience scorpions, pack rats, bed bugs, crickets, roaches, weeds and termites. We have the right solution for whatever pest problem you face. Our location just off of the 101 and Cave Creek Rd. is just minutes from Phoenix, Scottsdale, Cave Creek, Carefree, Paradise Valley, Anthem, Deer Valley, New River, Fountain Hills, Desert Ridge and Sunnyslope. Come by and see us today and we'll help you stop what's bugging you. NOTE: This store used to be located on the NW corner of 32nd St. and Thunderbird (13802 N. 32nd St., Phoenix, AZ 85032. From there we moved to 16012 N. 32nd St., Phoenix, AZ 85032 and then we moved again to our current location of 20021 N. Cave Creek Rd., Phoenix, AZ 85024.